It's time to get my goal list posted for the second quarter Finish Along. I was happy that I finished 3 of the 4 projects I posted last quarter and am going to post a longer list this quarter to give myself more of a push forward to get things finished. I had this quilt top on last quarters list to finish. 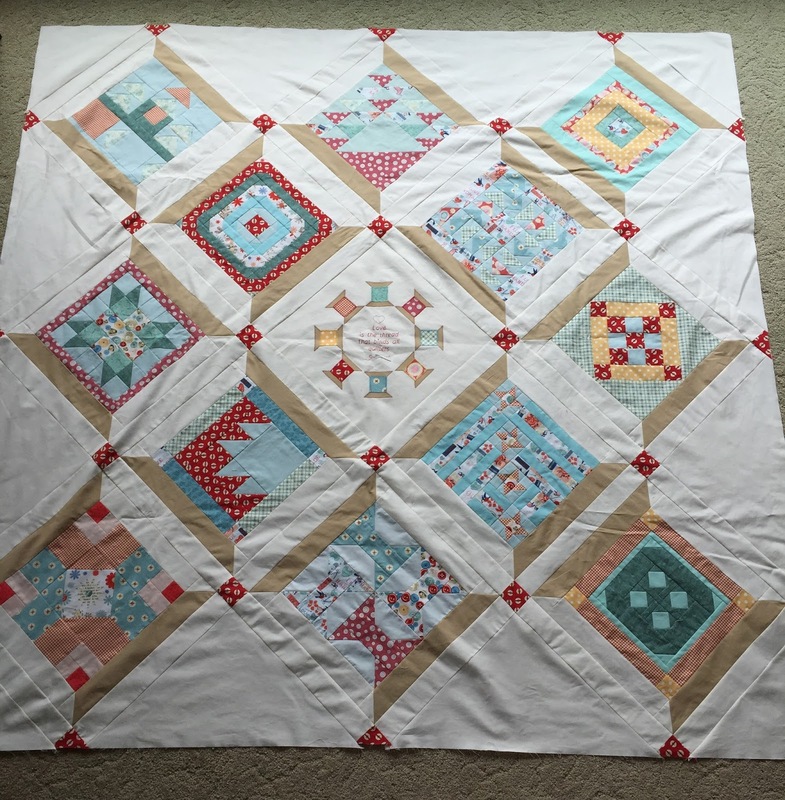 I did finish piecing it but did not get the backing bought so I could get it quilted. Still no backing, but I do still have it on my list. 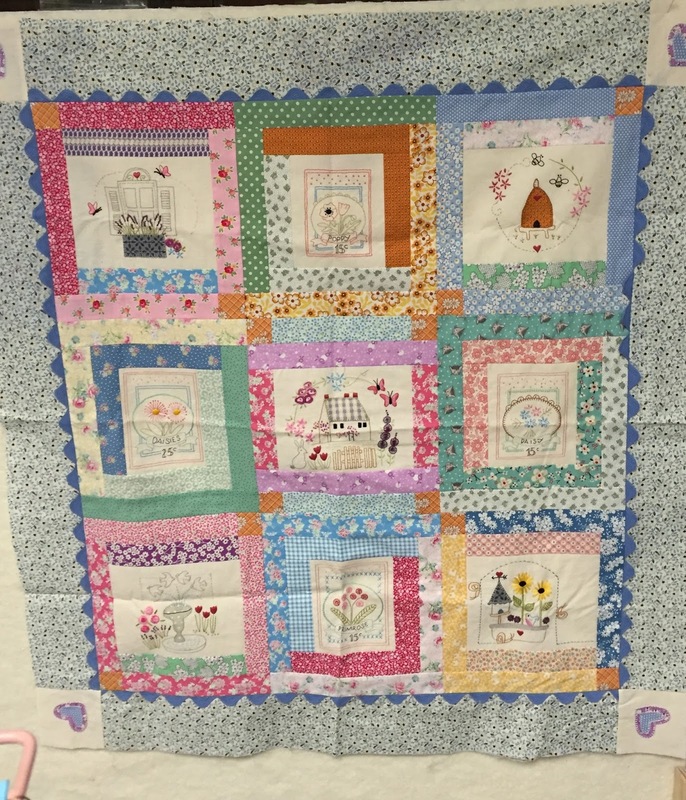 I have a few wall hangings and mini quilts that I want to get backed and quilted and up on my walls. 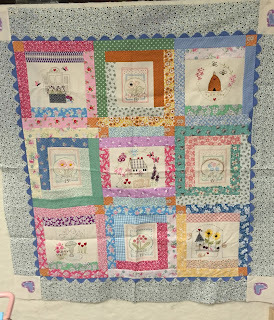 This next one is my first sampler wall hanging that I ever pieced. I think I might hand quilt it with some big stitches, not quite sure. I think that is what has been holding me up on a lot of these. The decision of how to quilt each of them. 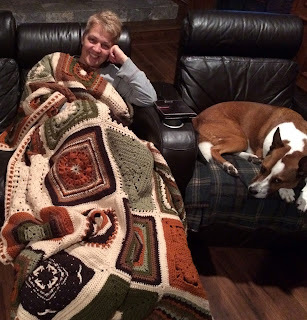 I have only hand quilted one quilt quite a few years ago. 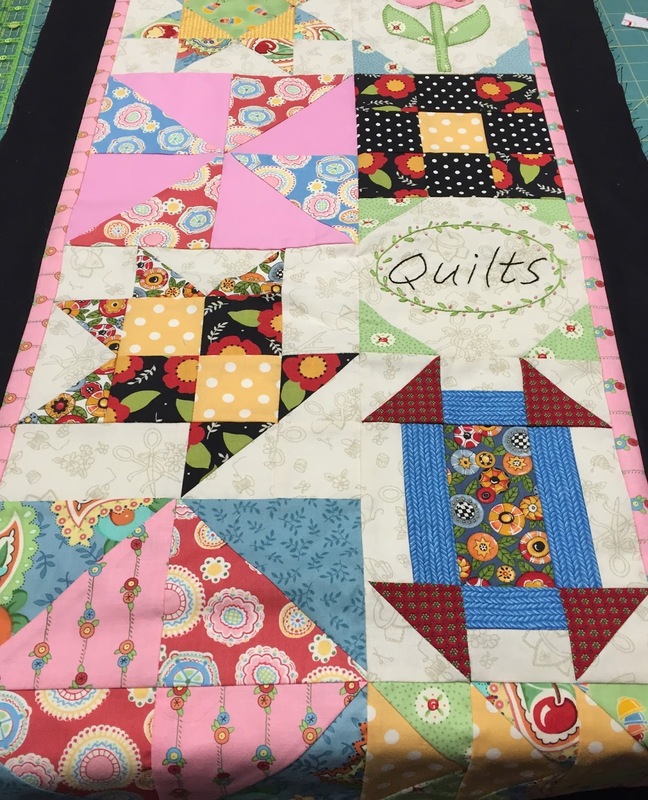 Others I have tied, more utilitarian quilts, and one king size quilt I made for my one of my daughters I had quilted by a local long arm quilter. 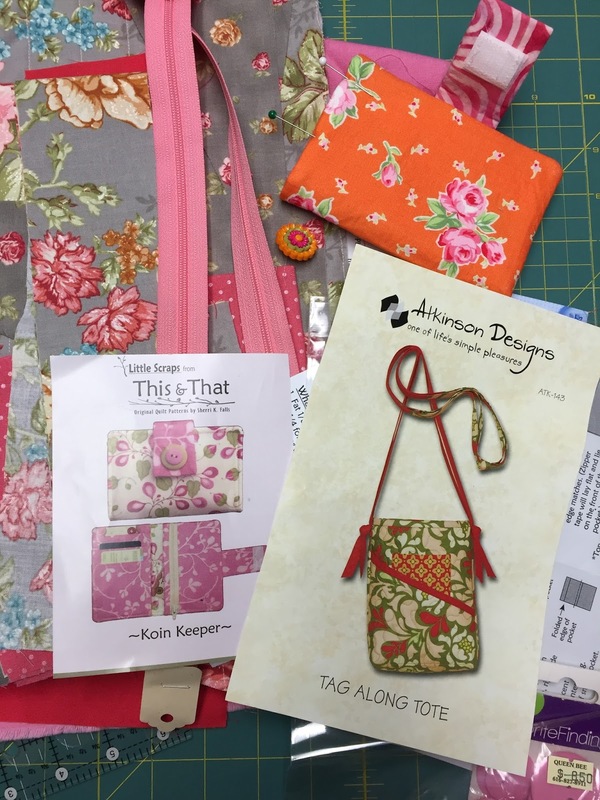 These next two are from the Aurifil mini QAL 2015. 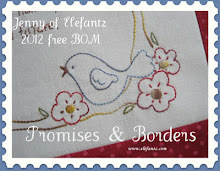 Again I am thinking hand quilting and I already have one safety pin basted. Probably should start with this one. Again thinking big stitches on the above mini. 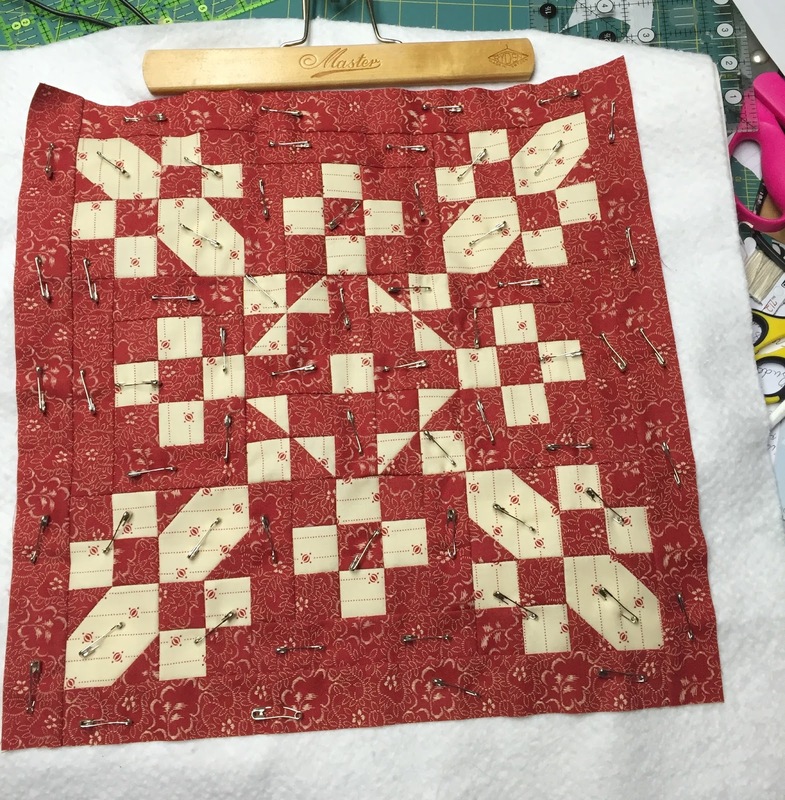 This next quilt was a QAL that Red Brolly had on her blog a couple of years ago. I really want to finish it for a guest bedroom that I am working on putting back together after having 4 grandsons living with us for almost 2 years. It is empty and I just need to replace the bed and would love to get this up on the wall. 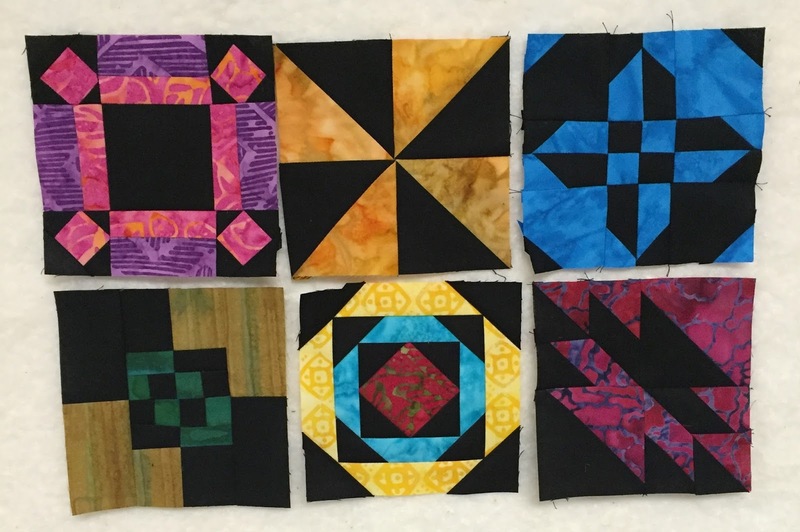 As you can see most of these quilts have been folded and stacked up so they need a good pressing which I did not take time to do for these quick pictures. I also have some other sewing projects I want to get done. There is fabric cut to size for 5 shopping totes that are for gifts in this stack. And in the next stack is one bag and two wallets that are gifts in different states of finish. And this bag below I have all the fabric ready to get started and really wanted to get to it last summer but maybe I will get to carry it this year. 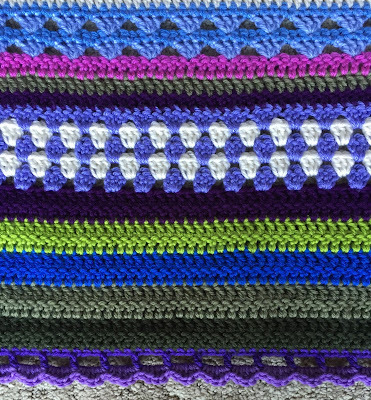 The only crochet project I have in process right now is for my sister in law. 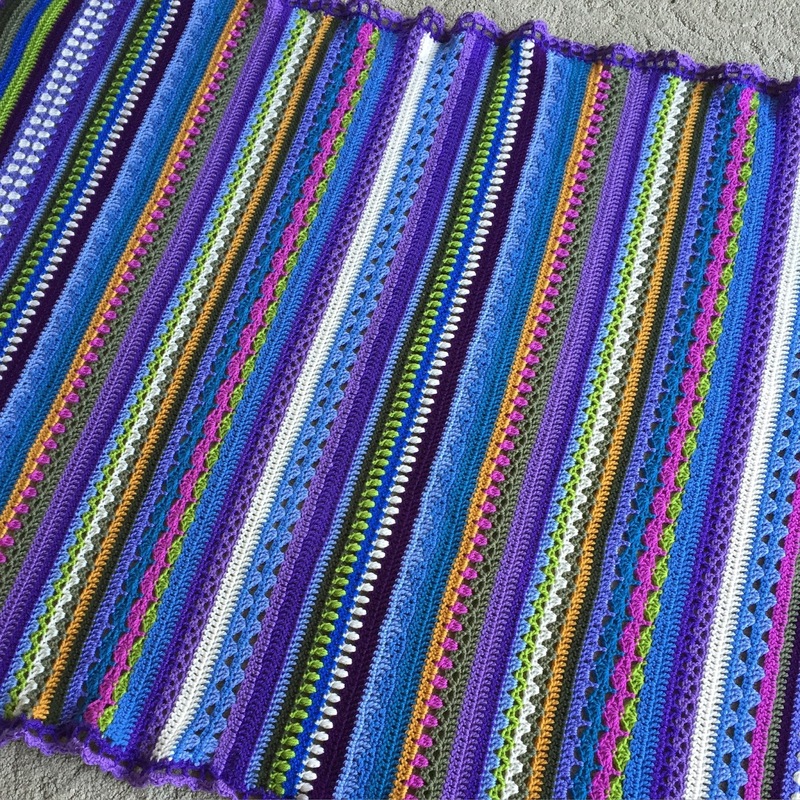 I would love to finish it because I am not allowing myself to start another crochet project until I do. And I always have some vintage things I have bought planning to give them a new life with a coat of paint. 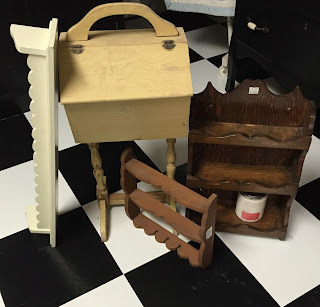 These I have collected to use in my sewing room so I thought I would add them on here at the bottom of the list. I even sat the can of pink chalk paint that I have planned on painting them with in one of the shelves. I do wish I did not have any other projects sitting around unfinished but there are. I think if I come even close to finishing these I will feel very accomplished. And if I can keep motivated through all 4 quarters I might actually start out next year with very few old projects left to finish. Thanks for popping in! Blessings from our home in the woods. 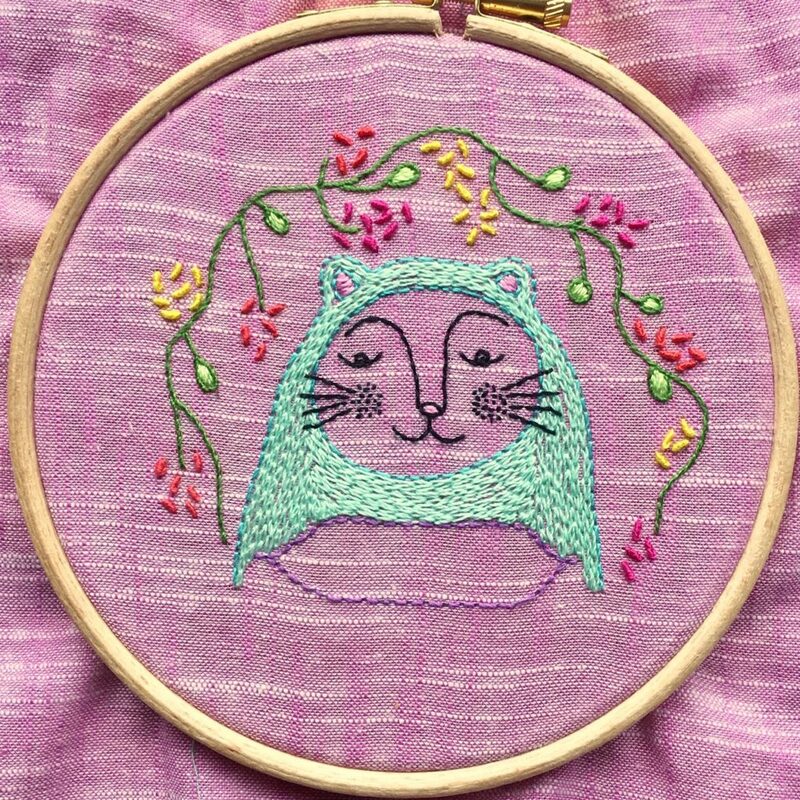 I managed to finish one more project for this quarters Finish Along from the original link up list here. 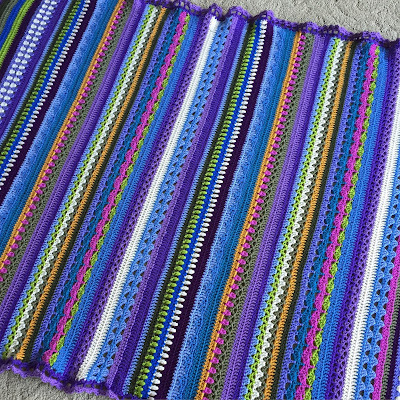 I was about 1/2 through this afghan when I added it to the list. 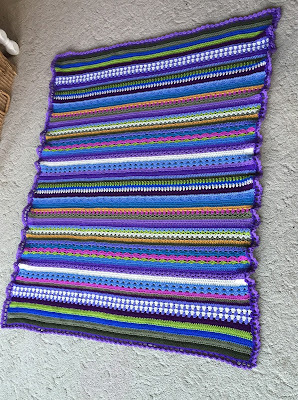 I have wanted to crochet one of the stripy afghans using different stitches for a while so I started using the extra yarn that I had left from my daughters afghan and some of the colors that I thought I would use in the Sophie but did not. 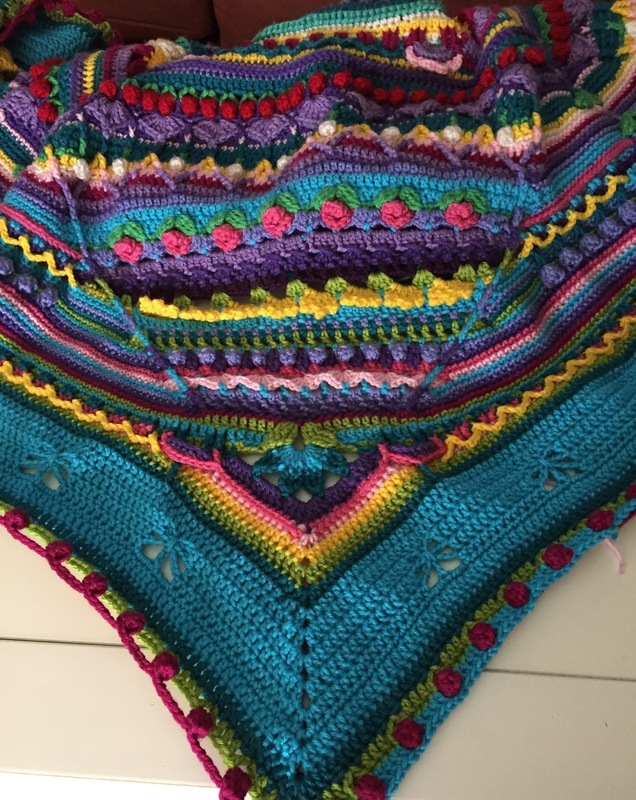 This pattern is called Spice of Life and was another CAL. You can still get the pattern at Cherry Heart here. The before picture from the first of the year. I am short, the above picture was taken standing on a chair. Close up of the edging I finished it with. 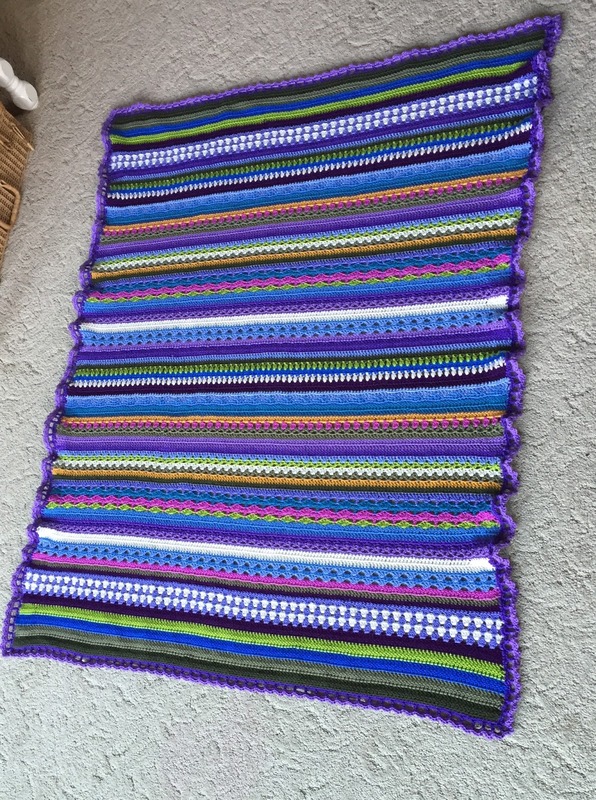 I was happy using up some of the extra yarn I had and the colors work well in one of our guest rooms. I have used Willow Wash yarn for these last two afghans and really like the colors and softness of the yarn. It works up really well. Out of the list of 4 projects I wanted to finish this quarter, I finished 3. I did get the quilt top put together but did not get it backed and quilted. So I will add that to the next quarters list. Thanks for stopping by! Blessings from our home in the woods. My results for the Easter version of the Friday night sew in are in the below picture. 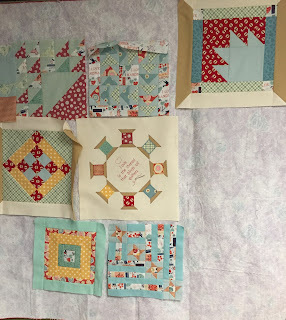 I finished 5 of the six blocks pictured over the weekend and have three to go. These blocks were purchased in kits from 9 quilt shops that were participating in a shop hop. Instead of sticking them in a drawer with many more shop hop kits, I decided to work on them right away. 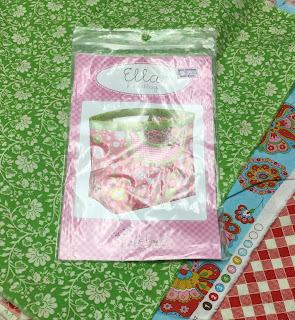 They are for a mini quilt that I did not buy the finishing kit for. 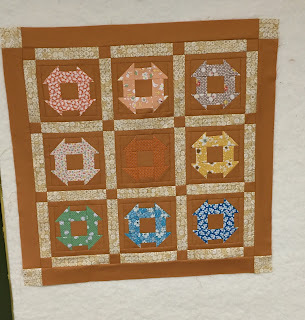 I decided I could put nine blocks together with sashing on my own. I will make sure to share the finished quilt. I am not sure I am in love with the colors provided in the bottom left block, I have some batiks in my stash and may remake that one. The piece of batik that came with the top middle kit was too small and I took that batik out of my stash. Now I need to go check in on the other Sew In participants and I hope I have posted within the time I was suppose to. Hope you are all having a great week! Blessings from our home in the woods! I have another finish to share from my original link up post here. 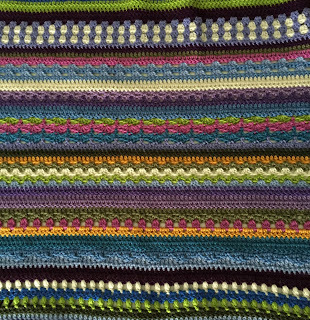 The first of the year I had not very much left to finish this afghan that I had been working on close to a year for my oldest daughter. She loves color so I participated in a CAL that Dedri at Look At What I Made shared last year. You can still go to Dedri's blog and follow the directions for this afghan here, it is called Sophie's Universe CAL. Where I was the first of the year. 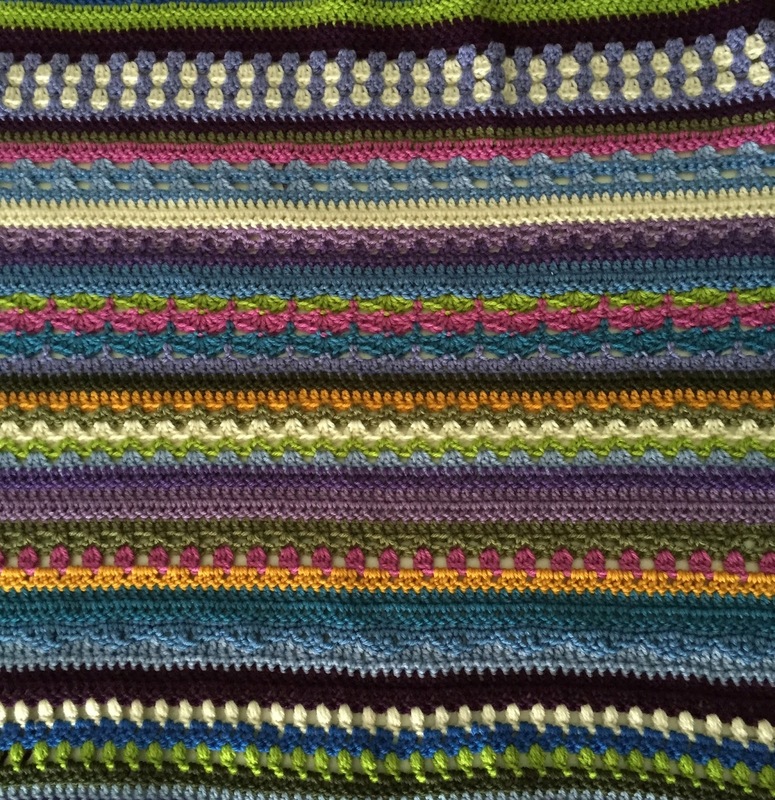 Here the blanket is after I delivered to my daughter. I wanted a picture of her with it but she had been sick that week and I have not made it back down for a visit with her since. Thanks for dropping by! Blessings from our home in the woods. Winter has returned to our Michigan home. We have a couple inches of snow on the ground that followed a rain/sleet mix. I am unsure if we will receive anymore of this weather but I will be glad that I do not work tomorrow and can stay home to sew, crochet or whatever my hearts content. 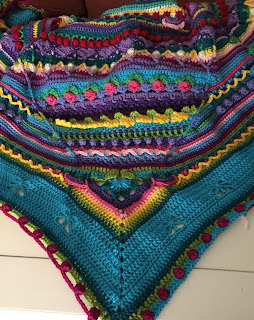 I have realized that I have finished a couple of the projects for the Finish-A-Long that I signed up to participate in for the first time and I should start getting my posts up and ready for the link up in about a weeks time. I had listed 4 projects that I planned on getting done in this quarter of the year but I know that one will not make the cut and I will have to add to the next quarter. My link up post is here. So with that all being said my first project that I finished this quarter was a cupboard that we used in our dining area to hold my collection of teapots, cups and saucers. I had asked my dear husband and grandson move it downstairs to my sewing area shortly before the end of last year. It is a heavy piece so I was grateful that they were happy to do it for me. This is the before picture. I had painted this a few years ago and had never finished painting the bottom doors that cover the drawers. I do not think anyone that visited even realize they were missing. 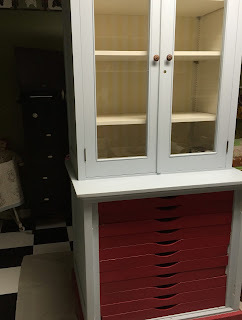 I started over from scratch because of coarse these colors did not work in my sewing room. These are the pictures I remembered to take after I had been painting for a couple of days and had already started loading the shelves. The black paint is the same paint I have used on a dresser I use for storage and another storage unit that I blogged about years ago that was made over from an old gun cabinet. 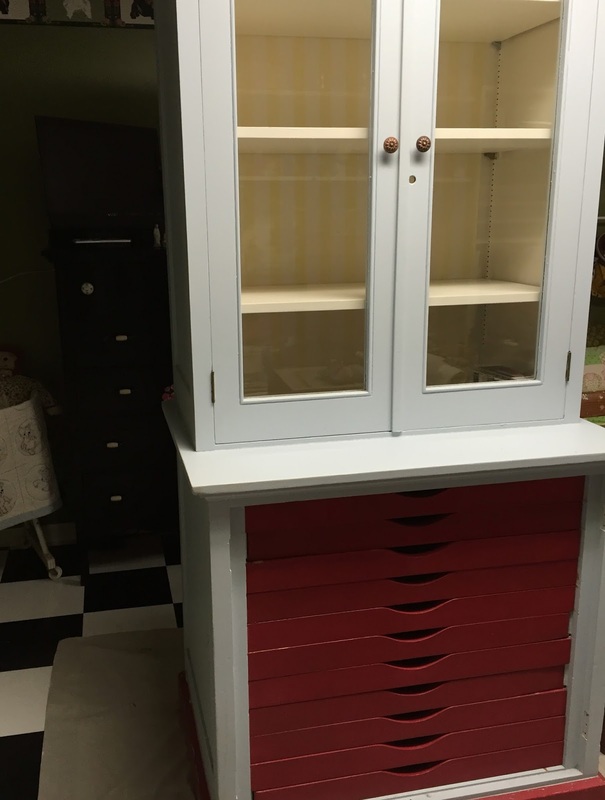 I added some white paint to lighten up some grey that I found in the storage room for the drawers. No doors on in this picture yet. I did not bother to paint over the yellow stripes because I expect no one will ever notice them once I have stacked the shelves with fabric. Here is the mess I needed to clean up, I still have some projects left out on this counter top to work on in the near future, so not totally cleared off but not unusable anymore. I just used double stick tape and some wrapping paper I found in the dollar bins at Michaels Crafts to line the drawers. They were shorter rolls and fit great. And found that I can starch and press fat quarters to lay flat in these drawers for projects that I am currently working on. 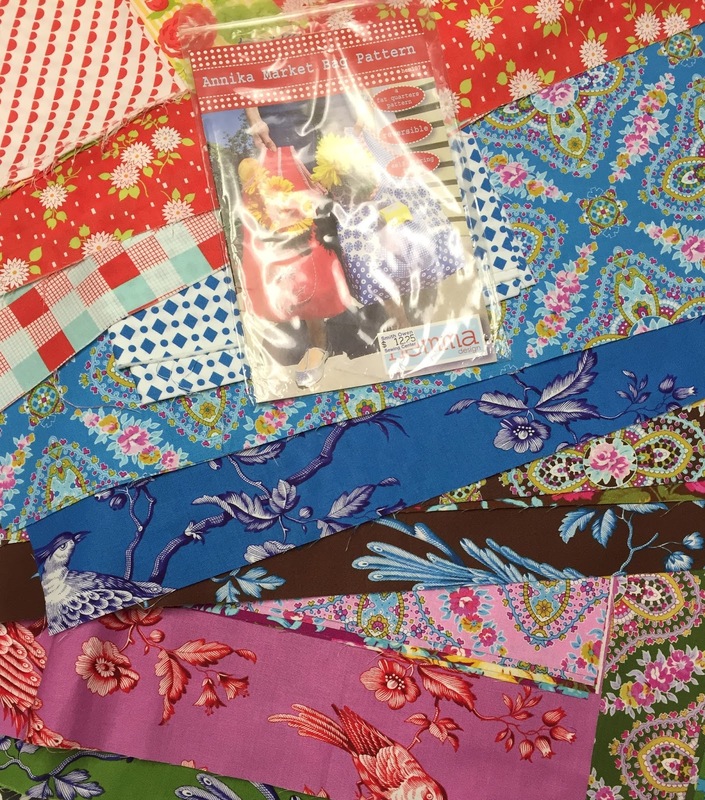 This drawer is full of fabrics I am using for the Splendid Sampler QAL. Doors on! New knobs from Hobby Lobby and an old crochet bookmark I made years ago hangs from the antique key still in the door lock. I am very happy with the way it turned out and know it will be so much more useful here than where I used it before. And since I was priming and painting I got around to these old beat up paint splattered chairs that I had been meaning to paint for the same area also. I just need to find some new chair pads that fit, they are a little hard to sit on when I am sewing for a few hours at a time. I am glad I have signed up to participate with the Finish-A-Long over at Clover and Violet, it has definitely motivated me to finish some projects and I am already thinking of the next quarters list. Hello friends, I know it has been months. 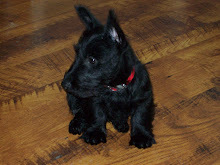 2015 was a ruff year and not a lot to share on this blog of mine. Today I am going to join the 2016 Finish-a-Long. In this group join you list the projects you want to finish each quarter of the year. 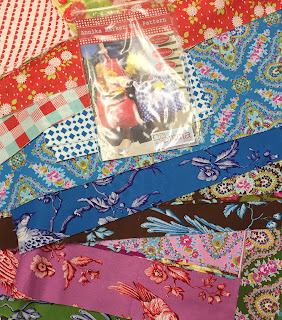 After checking out the other participants I have found it seems to be all sewing related projects which I have quite a few. 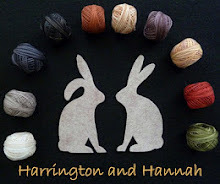 But I have some other pressing projects that I am going to add to my list now that is just for me, knowing that only the first project on my list will be eligible. 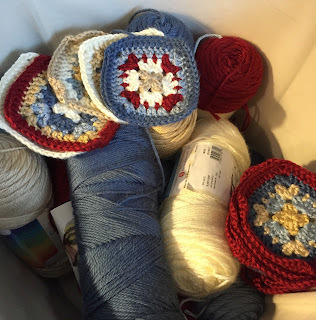 I do want to finish as many sewing, crocheting and other household projects as possible and feel less overwhelmed with my "I want to do that too" list that is always overtaking me. 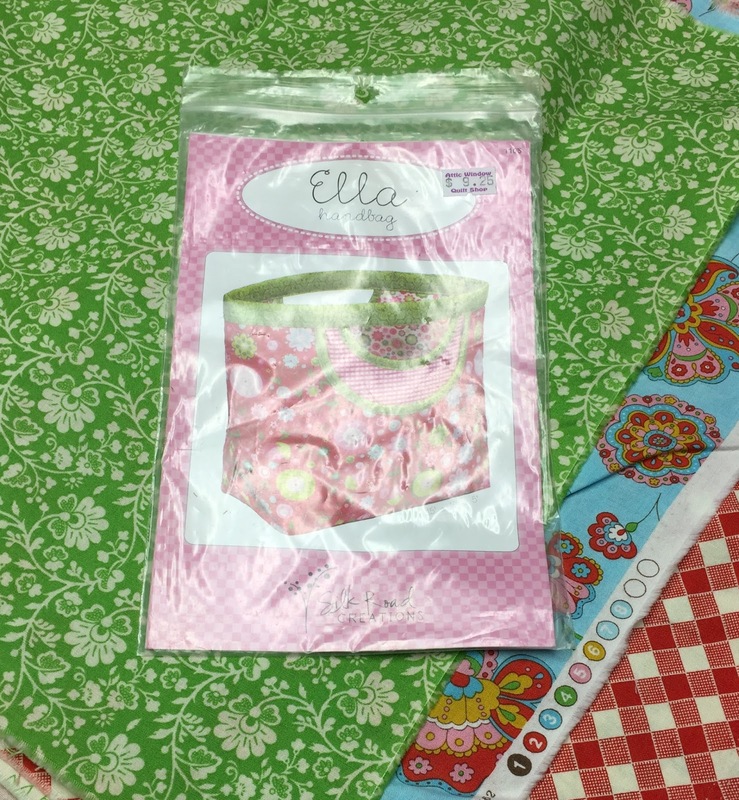 So up first in the sewing category is the 2014 Aurifil QAL. I did finish all the blocks in 2014 and last year I started bordering each block to put the quilt together. Well, my machine went into the shop, came out of the shop last summer and has set unused since. So long unused that the blocks fell off my design wall one by one and have been stacked up waiting to be finished. I have three other projects I really need to get finished in the next 3 months. 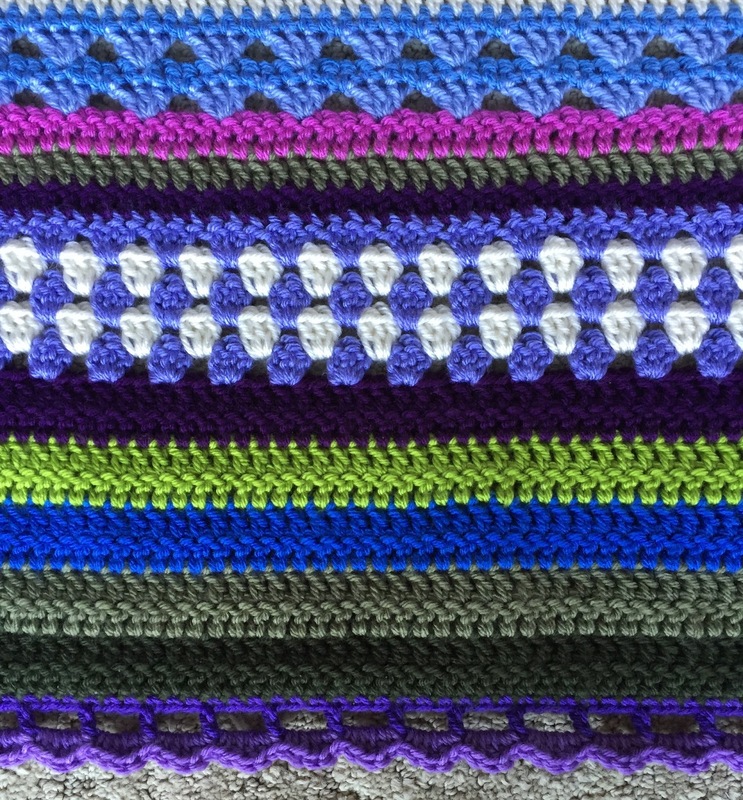 Two are crochet projects started last year. Both were Crochet alongs. The first one was supposed to be finished for my oldest daughter's Christmas present. She is very patient. The second I am making for one of our guest bedrooms. This is the last project I hope to get done and set up in my Sewing/Craft room. It has been sitting in my dining area with tea cups and teapots in it for a few years. The shallow drawers were not very useful in that area but I think they will work wonderfully for storing sewing needs. Not sure if you can see the rescued dresser sitting behind it but I am going to paint it with the same black paint that I painted the dresser that I also use for storage. I wonder since it is going in my sewing room if it might be eligible for the 1Q? So there you have it my list of projects to finish in the first quarter of this current 2016 year. Below is a picture of my Sister-in-law with the one project that I did finish in time to give for Christmas this past year. 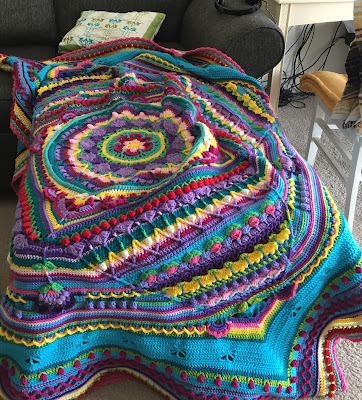 I had forgotten to get a picture of the blanket before it was whisked off to Texas, where this picture was taken in the room of her home where it resides now. I hope this New Year finds you all well and ready to create whatever your hearts desire and/or enjoy living your lives to the fullest way possible. Blessings from our home in the woods. 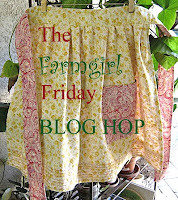 Friday evening I had planned on taking part in the Friday Night With Friends blog party over at Gone Stitchin. This is what I have been working on catching up with for the last couple of weeks. The Moogly CAL blocks. I only have one more to finish to be caught up but all the blocks in this picture need the ends woven in and blocked. 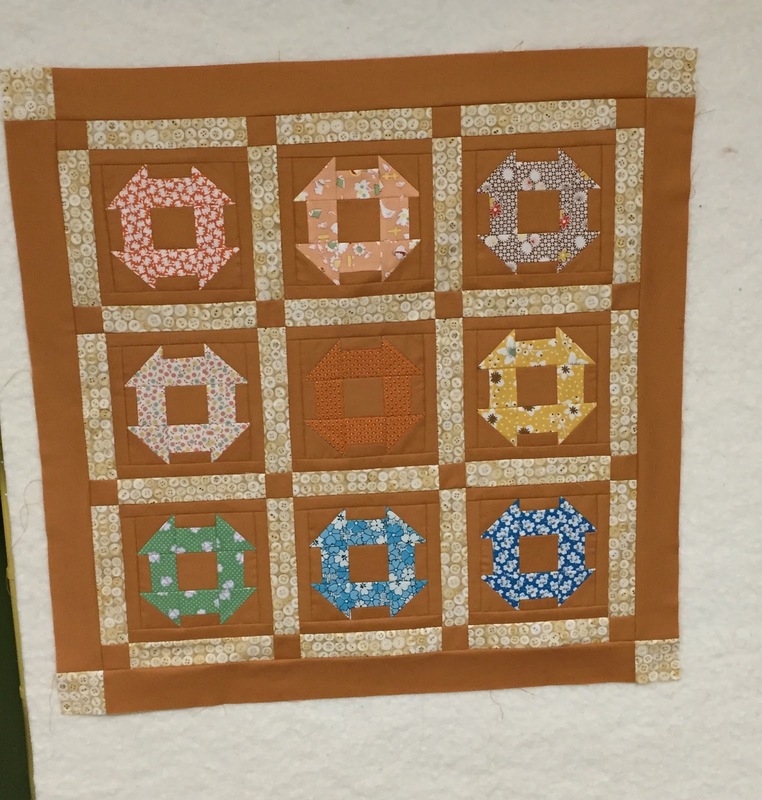 I planned on working on that last block Friday night but the truth is I did not pick it up until Saturday and only got a couple of rounds done on the center flower of the block. These are the colors one of my sisters in laws picked out. It will be a Christmas present. Today I chopped up around 6 pounds of Rhubarb, this bunch was the first of three trips out to the garden. Made Rhubarb sauce for my in-laws and got one batch of Rhubarb Butter canned and more chopped and ready to for another batch to be canned tomorrow. I hope everyone has had a great weekend. Blessings from our home in the woods. Just a quick post to share the vegetable gardens we got planted last week. When they start getting some growth on them I will share again. We started out with these flats of tomatoes, peppers and other vegetable plants along with green bean, radish, beets, pumpkin, zucchini seeds and potato sets. This is what we call our salsa garden we plant all of our tomatoes and hot and bell peppers here. This garden has our rhubarb, rows of raspberries and we are trying green beans in the same area this year because we had a very bad year where we had been rotating them last year. The wood worker after all the salsa garden was planted. A lot of tomato cages! This is the gate and garden bench the wood worker built last year for our new raised beds. The following is our back garden that has not been doing great the past couple of years. Even though we have been amending it the sandy soil has been working against us here. We have put the radishes, beets, potatoes and the vining plants in this area and hope that they take off well. As you can see all of our gardens are fenced. We need to do that because of the deer and in the yard area to keep the chickens out. Also wanted to share this huge morning glory plant that I bought at one of the local farmers markets this year. It was affordable and I wanted to try to grow it on a trellis the wood worker made a few years ago. I have tried to grow these from seed but they have not done well. So we are going to dig a huge hole and put a lot of compost in it and I am hoping they we look wonderful the whole summer in our flower boarder. Went to see our oldest grandson graduate today from 8th grade. We are so proud of him. He is 14 and over 6 feet tall. That's all for now. I am hanging out with the Friday Night With Friends group tonight but unsure what I am going to work on yet. Early day tomorrow so I will be posting later in the day what those results are.